Must Have Shoes | Are You Receiving Me? How about these then, eh? Stylish or what? You should try running upstairs in them. 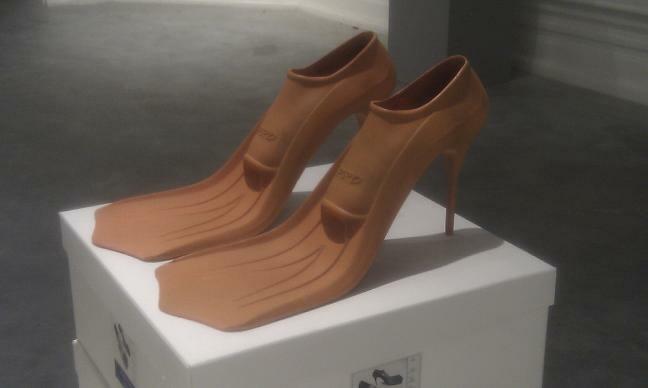 I’m wearing them on New Year’s Eve, along with my wet suit and matching neon orange woolly chav hat and gloves. That way I can go straight from the Randall’s party to the New Year’s Day dip in the sea! Well, this is hip-wear to dip-wear!